Wasps Netball’s Chloe Essam believes her game is reaping the benefits of added court-time as she prepares for a return to her former club. Essam, who can play at Goal Attack and Goal Shooter, will travel to the Sir David Wallace Arena with Wasps to face Loughborough Lightning on Monday 18 March (7pm centre-pass). 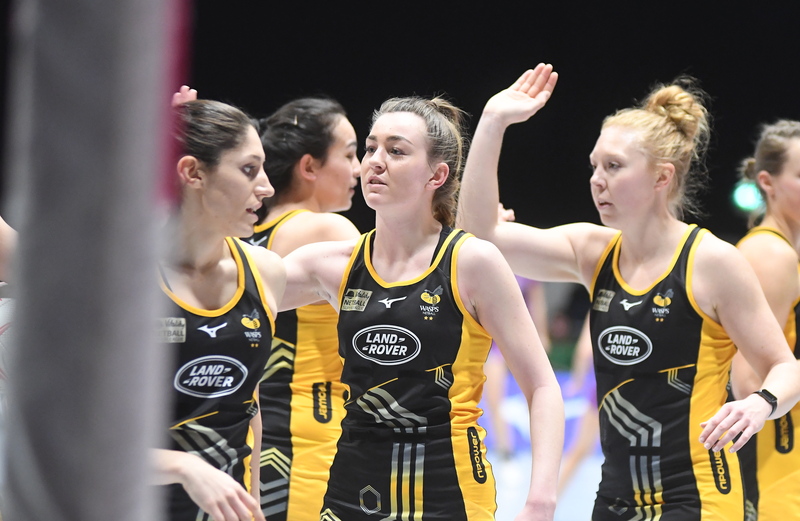 The 19-year-old, who is the youngest member of Wasps’ squad, was given her first insight into life as a Vitality Netball Superleague player during her time at Lightning. She played for Lightning at under 17, under 19 and under 21 level before breaking into the Loughborough Superleague set-up. The Kettering native joined Wasps in the off-season, teaming up with Mel Mansfield who is also her coach at the University of Hertfordshire. Essam says she is grateful for the opportunities she was given at Loughborough, but is loving her time at Wasps and is hoping to get the chance to shine against her former club. “I had my first little snippet of what the league was like when I was at Loughborough and that experience was really important for me,” she said. “This season is probably the most court-time I’ve had in my career so far and getting out there and having the chance to play is vital at this stage of my development. “I’m thankful for the chances I’m getting to do my thing out on the court. Wasps Netball come into round ten of the Superleague season three points clear at the top of the table, with Lightning in fourth position. When the two Midlands rivals meet it is one of the highlights of the season, with Wasps and Lightning having met in each of the last two Grand Finals. Essam, who will also be in under 21s action on the day, featured on the bench for Lightning in each of their Grand Final losses to Wasps. Wasps came out on top when the two sides met on the first day of this season, winning 72-42 but Essam believes Lightning are a changed side since that first meeting. “It will be really cool for me to play against the girls who I came through the setup with at Loughborough, and to get a chance to show the improvements I’ve made,” she said. “We know they will bring a different challenge compared to when we played them in the first game this season. “They didn’t have Mary Cholhok available at Goal Shooter when we last played, but now she is back and we need to prepare for that.